Jeff Williamson had no photographs of Jane when I began my research in 2001. There was one photo, taken when she was quite old and blind, which I photo copied in the Minnesota Historical Society files but it was destroyed in the infamous photo purge of that institution’s collection. (http://athrillingnarrative.com/2013/02/09/the-mhs-photo-purge/). Jane is also identified in the famous Adrian Ebell image of the Williamson mission taken on the morning of August 18, 1862, but it is a group photo and she can barely be seen. (See Margaret Poage Williamson – Part II). I longed to learn what Jane really looked like and one day, while working with Alan Woolworth’s files at the Minnesota History Center, I found a little scrap of paper on which Alan had scribbled: “Jane Williamson pic – Covert sermon in What Israel Ought to Do – Macalester Library.” I had no hope of ever interpreting what that note even meant, but a few weeks later, I called the library at Macalester College in St. Paul, Minnesota. I gave the helpful young woman at their library the brief info I had and she put me on hold for a short time. When she returned to the phone she said, “Oh, here it is. Would you like me to email you a scan of her photo?” I couldn’t believe it. Within moments, there was Jane – the only image of her that anyone had ever seen. I believe the original photo was probably made in St. Peter, Minnesota, in the 1870s. Jane was maybe 67 or 68 years old. I think she looks kind; I like the fact that she is almost smiling and that her eyes are alert and sharp, connecting with the viewer in welcoming curiosity. All of the missionary women whose stories have been recorded in Dakota Soul Sisters to this point came to the Dakota mission when they were young. Most were new brides; others were single women who came to experience the adventure of life in the western wilderness while under the protection of a family member already working in the mission. We’ve journeyed with them through the births and often untimely deaths of their children; we’ve seen them widowed and remarried and we’ve also mourned their deaths as they passed away, often leaving their young children and a grieving husband to carry on without them. The next Soul Sister to arrive in Minnesota has a completely different story. 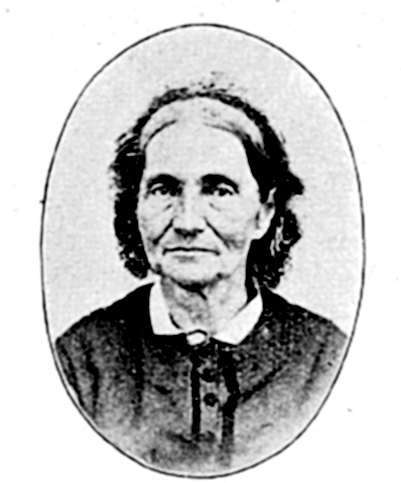 Jane Smith Williamson was forty years old when she arrived at Fort Snelling in May of 1843. The daughter of a Presbyterian pastor in Ohio, Jane had never married but had devoted her life to caring for her twice-widowed father and to her work as an abolitionist schoolteacher who opened her classroom to the children of escaped slaves even under threat of attack by slave-catchers from Kentucky. She came to Minnesota, not as a missionary, but to join her beloved brother, Dr. Thomas Williamson. Thomas and his wife Margaret had left Ohio in 1835 to establish the Dakota mission at Lac qui Parle and they had five children by the spring of 1843. Jane came to Minnesota to assist Thomas and Margaret with caring for and educating their children. I can find no indication that she had any plans to work in the mission as staff or teach Dakota children. Her father had died and she was simply joining her family in what might have been thought of as her retirement, now that she no longer had to remain in Ohio to care for him. Instead, Jane Williamson was to become one of the most well-known and beloved women of the Dakota mission. I’ve entitled her story “Life of a Legend” because apocryphal stories about Jane abound in Dakota oral tradition and written accounts from 19th century historians. Dozens of young Dakota girls were named Jane in her honor and events in her life appear again and again in original historic documents with different locations, details and dates but with the same almost mystical or magical outcomes. She is referred to as “Aunt Jane” in many of the historic records and I’m sure that is what she was called, but her prolific and amazingly preserved correspondence and stories others tell about her in many ways defy this image of her as a loving, elderly, maternal figurehead. Instead, I have found a woman who was intellectually superior to many of her male colleagues – better educated and certainly progressive in her philosophy about the Dakota people and how to prevent their annihilation. Her letters to family members around the country provide the most intimate and personal history of the Dakota mission’s daily life than exists. What is most amazing is that her casual and personal correspondence was preserved by families, historical societies and museums and continues to be available today, nearly 120 years after her death in 1895, and 170 years after the first letters were written. Followers of Dakota Soul Sisters know that I find Mary Riggs’ memoirs somewhat self-serving and edited for publication. Jane’s letters are completely unedited and unchanged – existing only as the original paper thin documents sent and saved by the recipient and the recipient’s descendants. Jane’s writings also provide insight into the depth and longevity of the personal relationships that were established between the white women of the mission and the Dakota women with whom they interacted. For years after the trauma of the 1862 war, she continued her connection to and correspondence with the Dakota women whom she had come to know during the pre-war years. Jane took in several orphaned Dakota children over her lifetime and her letters record the love and affection she felt for those little ones. Her faithful loyalty to the Dakota extended to her passionate efforts after the 1862 war to save the lives of Dakota men who had helped her and the family reach safety in those dangerous days. She did not hesitate to risk her own reputation but wrote letters that ultimately saved the lives of Robert Hopkins Chaska and Peter Tapetatanka. She also ministered to the imprisoned Dakota at Mankato, petitioning those in charge to allow her to bring the men paper and pencils so they could write to their families being held at Fort Snelling. Of all of the Soul Sisters, Jane is the only one who did anything public and proactive on behalf of the Dakota after the war. Perhaps you’ve noticed that my connection to Jane Williamson is stronger than to any of the other Soul Sisters. I plan to share her story with the same focus on her chronology and events in her life as I have with the other women showcased here but I must confess that Jane is near and dear to my soul. I first heard of her when I was in the fourth grade at Jefferson Elementary School in South St. Paul, Minnesota. She was mentioned in my Minnesota history book but in such a way that I never quite forgot it. All of us South St. Paul kids knew that our community was founded on the site of the Mdewakanton Dakota village of Kaposia. We knew the name of Dr. Thomas Williamson, the “first medical missionary to the Sioux Indians,” who came to the village at the invitation of the infamous Chief Little Crow, who ultimately became the main leader of the Dakota in the 1862 war. Somewhat ironically, we’d also been taught that Little Crow was a friend of the South St. Paul settlers and that no white person had ever been harmed by a Dakota in our community. I don’t know that we were fully taught the extent of the violence of the war or that we ever knew of Little Crow’s death and the impact the war had on Minnesota. What I do remember is that my fourth grade history book told of Dr. Williamson and concluded that paragraph with the words, “His sister Jane was also there.” Even then, at age ten, I wondered about Jane and who she was and why we didn’t know more of her story. I set aside my childhood curiosity, however, and it was over forty years later that Jane came to my mind again. It was a beautiful autumn afternoon in November of 2001. I was enjoying a hike through Kaposia Park in South St. Paul – an 80-acre park that commemorates and preserves the story, heritage and location of the original Dakota village. Our nation was reeling from the September 11 attack at the World Trade Center; I’d quit my full-time job because the executive director had refused to allow staff to watch the television during that fateful day and I was thinking about what my next history project should be. Life seemed too short to me to devote my life to working for an organization where employees were treated in such an uncaring way. 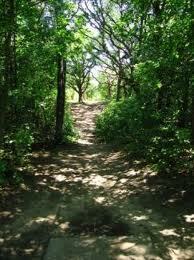 South St. Paul’s Kaposia Park is a magical place to walk back in time and experience the dramatic landscape, the river, the bluffs and the forests that were home to the Dakota and the missionaries in the 1850s. Suddenly, as the November sunshine dappled the gold-colored trees, I remembered Jane Williamson. I began to wonder if anyone knew any more about her; if perhaps there had been studies of her life and if not, whether I could learn her story and share it with the world. She had walked these trails, taught her Dakota students here on these hillsides and left her mark at least on one ten-year-old girl many years earlier. Now it seemed as though it was my mission to find out more about her and her life. I truly wasn’t sure where to begin my research. I mean certainly at the Minnesota Historical Society, but who there would really know or care about a single spinster missionary who’d been dead for over 100 years? As it turned out, I actually started my research at the Fort Snelling historic site. I wandered in as a true newbie – knowing very little about the history of the missions. I’d written three published local community histories for South St. Paul, West St. Paul and Inver Grove Heights, so I’d learned a lot about the establishment of Dakota County and the early missionaries and settlers but I really didn’t have a clue about how the missions and the eventual cities came together. Fort Snelling is well-known as a historic site where events and activities of the Fort are re-enacted for thousands of tourists and school groups each year. 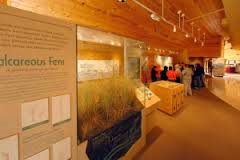 The Fort, however, is also home to a library and research center adjacent to the book shop where many original source documents about the early history of Minnesota are accessible to scholars. Stephen Osman was at the Fort to help me. He directed me to John Willand’s master’s thesis on the Lac qui Parle mission, along with a few other documents on the early Dakota missionaries. Then he suggested that I contact Alan Woolworth at the Minnesota Historical Society who also had lots of information on the early missions. I have to confess that I was really surprised to learn that Alan Woolworth was still alive. As a young teen, I’d volunteered at the Dakota County Historical Society where my parents were charter members. 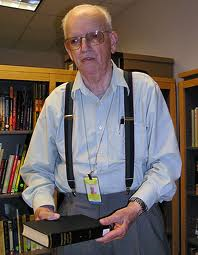 Fred Lawshe, the founder of the Society, gave me the job of hand-writing labels for all of the artifacts on display at the various locations of the museum. Mr. Lawshe found in me an excited and loyal volunteer. Even before I heard of Jane Williamson, I was passionate about South St. Paul history and remember that when the local Chamber of Commerce published a little pamphlet in 1958 in commemoration of the state’s hundredth anniversary, I made my mother drive me by the locations of the first log cabin, the first Indian village, etc. that were mentioned in the little publication. I was in first grade then. It was through Mr. Lawshe that I first heard of Alan Woolworth as one of the most esteemed and respected Minnesota historians. But now it was 2001 and my knowledge of Alan Woolworth had come to me more than thirty years earlier. Still, I took Stephen at his word and wrote a letter (yes, an actual letter) to Mr. Woolworth, who was a curator emeritus at the Minnesota Historical Society. I received a phone call within a day or two from Alan, who invited me to come to his office to meet with him and gather whatever I needed from his files to begin my work on Jane. Generations of Minnesota researchers and scholars have turned to Alan Woolworth for advice, encouragement, assistance and access to his personal history files. He is retired from the Minnesota Historical Society, but his decades of collected files continue to allow today’s students access to the massive amount of work he accomplished in his lifetime. No one could ever have been more gracious than Alan Woolworth. He not only welcomed me warmly, but completely opened his files to me, gave me free copy privileges and told me everything he knew about Jane and the Williamsons. It was Alan who gave me Jeff Williamson’s phone number ( a resource that has led to years of collaboration and friendship) and who introduced me to John LaBatte, a Dakota man who was more than willing to share with me all of his knowledge about the early Dakota Christians and the missionaries. It was John who took me on my first tour of the mission and Dakota war sites across Minnesota and it was, and always has been, Alan and Jeff who have continued to share information and resources about Jane and her life. Jeff Williamson is the most gracious family resource that I’ve ever encountered. Instead of being protective of his family tree, he has always been willing to share every detail with me and included me in Williamson family reunions in Ohio over the years. Alan Woolworth is no longer able to participate fully in historic research or discussion but I remain forever grateful to him for his generosity and the depth of knowledge that he has always been willing to share. As for Jane, well Jane has also been a part of this journey. From the amazing and nearly miraculous discovery of the only portrait of her which exists, to the astounding series of events that led me to her grave in Greenwood, South Dakota, Jane has been guiding my path. Perhaps most significantly, I credit Jane with bringing about my personal faith conversion. My maternal grandparents were always Presbyterians but I’d grown up in the Baptist faith of my paternal family and attended a church where I had over 80 relatives when I was in elementary school. I like to think I was one of Jane’s last conversion success stories since I became a member of the First Presbyterian Church of South St. Paul in 2006. I was thrilled to become a member of the church that traced its roots to the original Williamson mission a Kaposia in 1846. Since those first early days of looking for my next history project in 2001, my work has expanded far beyond Jane and the missionaries. My ultimate professional goal is to find a publisher who will publish Jane’s letters and her biography because I feel she is truly a unique individual in the history of the Dakota mission and in how American Indian policy developed. In the meantime, she is included here as one of the Dakota Soul Sisters. This entry was posted in Alan Woolworth, Jane Smith Williamson, Jeff Williamson, John LaBatte, Kaposia Village, Lac Qui Parle Mission, Mary Ann Clark Longley Riggs, Minnesota, Minnesota Historical Society Photo Purge, Minnesota History, Ohio, Stephen Osman, U.S. Dakota War of 1862, Underground Railroad, Women in Minnesota. Bookmark the permalink.